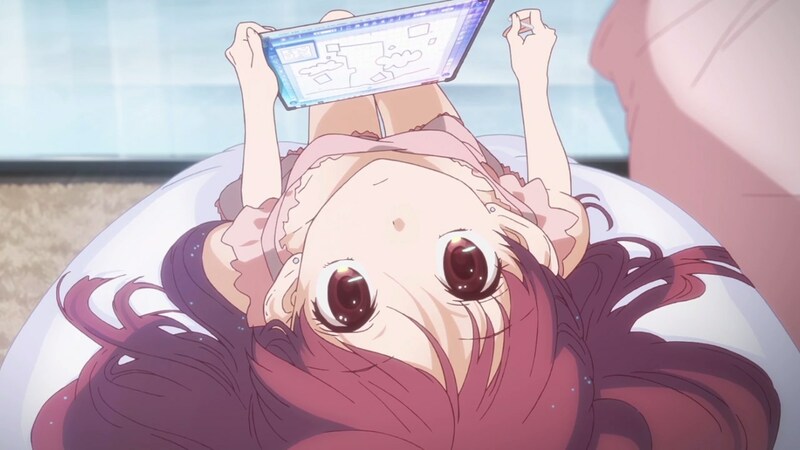 The internet’s still buzzing over Shelter, the recently released music video made in collaboration by Porter Robinson and A-1 Pictures, and for good reason. It’s a production birthed in the west and nurtured in Japan, overlooked closely by both parties to ensure it met their shared ideals. If the title of this post didn’t give it away already, then allow me to spell it out once again: they hit it right out of the park. It’s worth noting however that while Porter most definitely deserves credit as this is his brainchild, his concept alone isn’t what brought this MV to life; there are no revolutionary ideas behind this project at all, it’s a simple and perhaps even tired premise. But one that resonated with the staff he trusted, and ended up becoming an ode to execution. 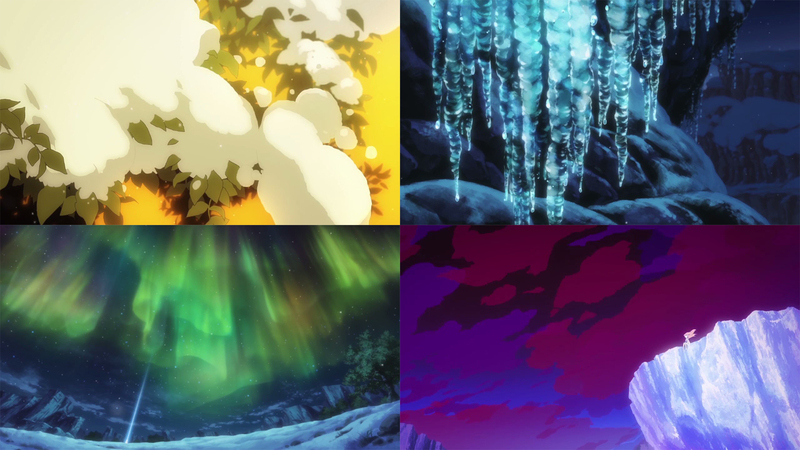 One of the primary goals of this site is to highlight creative excellence, so strap in folks, because it’s time to take a look at why director Toshifumi Akai and character designer Megumi Kouno proved beyond a shadow of a doubt that they’re overflowing with it. Up until now, The [email protected] was likely the first thing to pop into people’s heads when they thought about Akai and Kouno. For good reason, too! 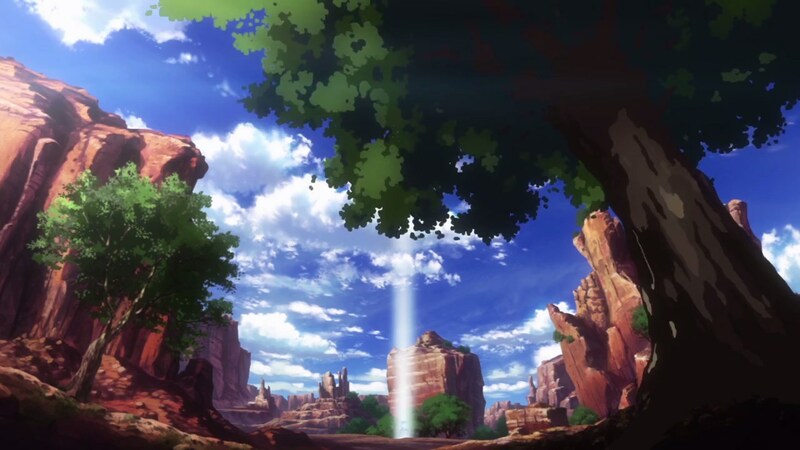 Their individual feats within the series – the 2011 anime in particular – remain some of the most outstanding moments in modern TV anime, but it’s their work together that likely resulted in them teaming up once again for this project. 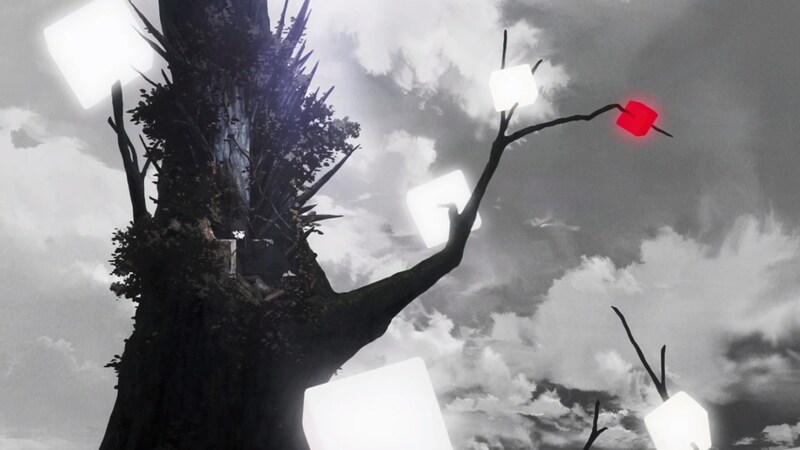 We already know that Kouno’s involvement was a direct request from Porter himself, and Akai being tasked with the role of director was no doubt a supported by Yuuichi Fukushima – a key producer both on the series and Shelter itself – as he was aware of their natural synergy. The purpose of this post isn’t to give a history lesson on these two, though. 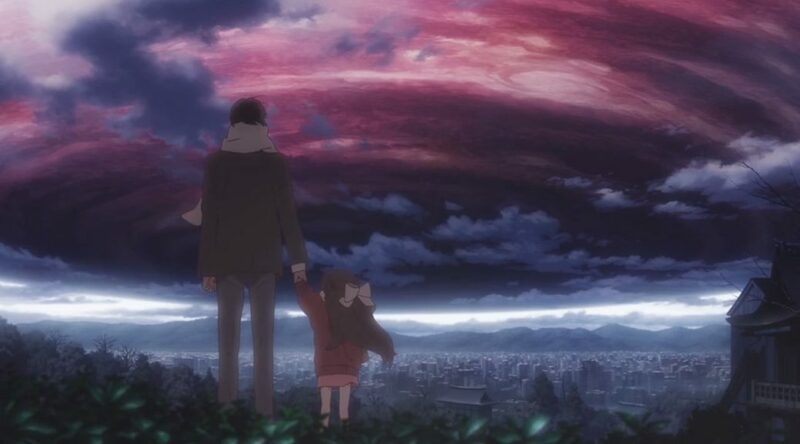 It’s to highlight how their work helped make Shelter the phenomenon it is, and how they’re going to remembered for it over all else for a long time to come. 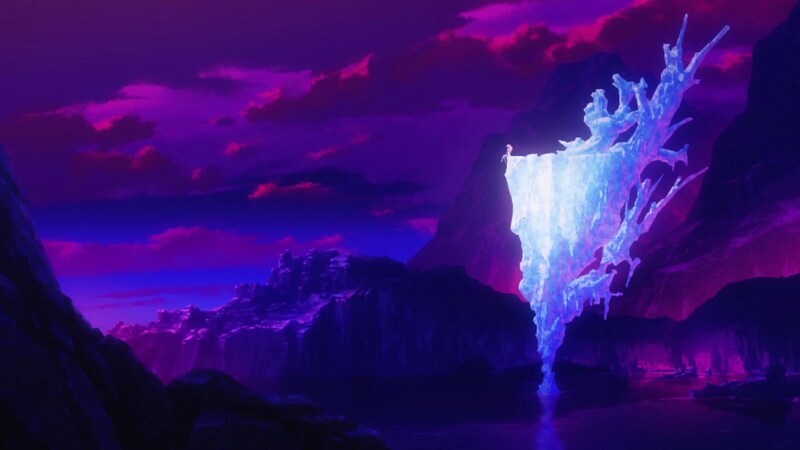 Akai’s synergy with Kouno may have been a deciding factor that led to his involvement in the project, but one shouldn’t discount the effect his very own skills as a director had on that decision. 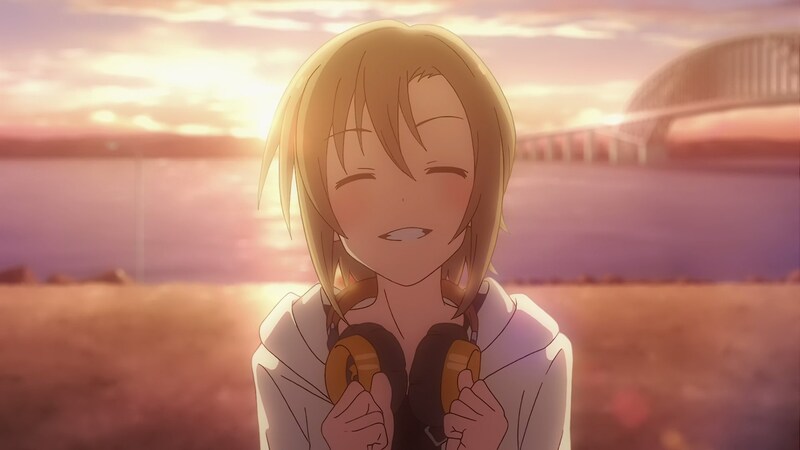 His style has a particular delicacy to it – enough so that one of his Cinderella Girls episodes sold me on a certain character I wasn’t particularly fond of beforehand – that’s very compatible with the setting. 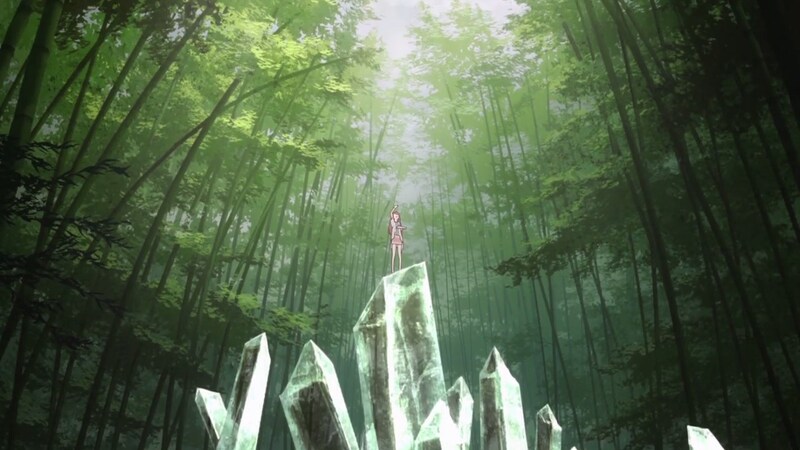 Rin’s ability to reshape the world as she sees fit allows Akai to go all out and load the MV with a number of spectacular environments, but these don’t exist simply to be pretty; the contrast between Rin and these grand setpieces acts as a means to highlight the underlying solitude she feels in spite of the absolute control she has over her own world. His storyboarding provides some clever parallels with her situation in reality too, namely the use of warped layouts in her room to represent how – in a world that’s technically as expansive as she wants it to be – she still feels boxed in, and for good reason. The scenes within the room have an almost voyeuristic quality to them, as they genuinely feel like we’re peeking into the closed space where someone is actually living. The flashback scenes are where his delicate touch comes through the most though, as seen by the way he frames a fair amount of them from the perspective of a bystander. 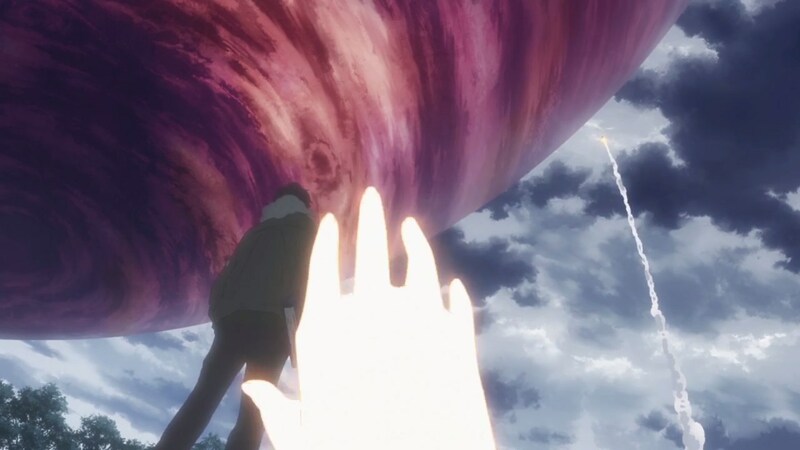 The initial confusion and rapid cuts between memories slowly turns to nostalgia as we see specific events slightly more fleshed out, only for the rapid cuts to make a return as she comes to remember the events leading up to now. 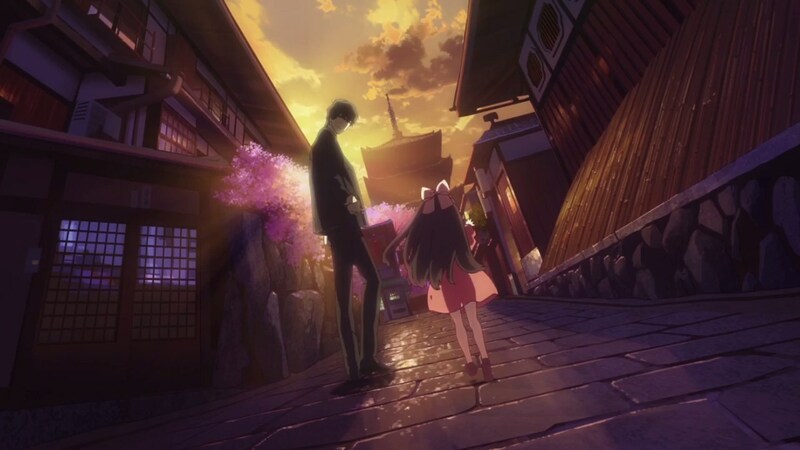 The bystander perspective becomes even more appropriate for the final sequence in these flashbacks, showcasing Rin’s detachment from what should be fond memories and her inability to prevent what’s already happened from taking place. 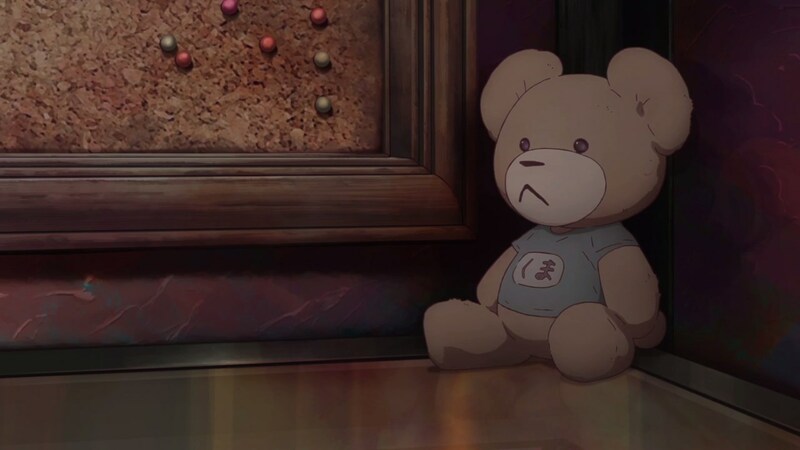 Akai’s skill as a director shines through in even the most minor of things, as seen through Rin’s stuffed bear. We only see it a few times throughout, but those brief appearances tell us all we need to know about it; she received it as a present from her father, and it was important enough to her to be loaded into the shuttle with her. 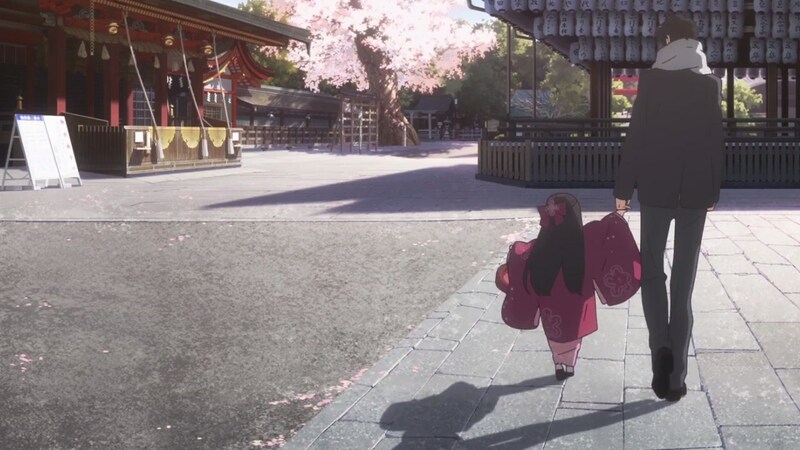 It’s never a major factor within the MV, yet it serves as an important tool in humanising Rin and her relationship with her father. It’s a fantastic example of how small details can tell us a whole lot without outright saying it, and the mark of a director who knows exactly what they’re doing. 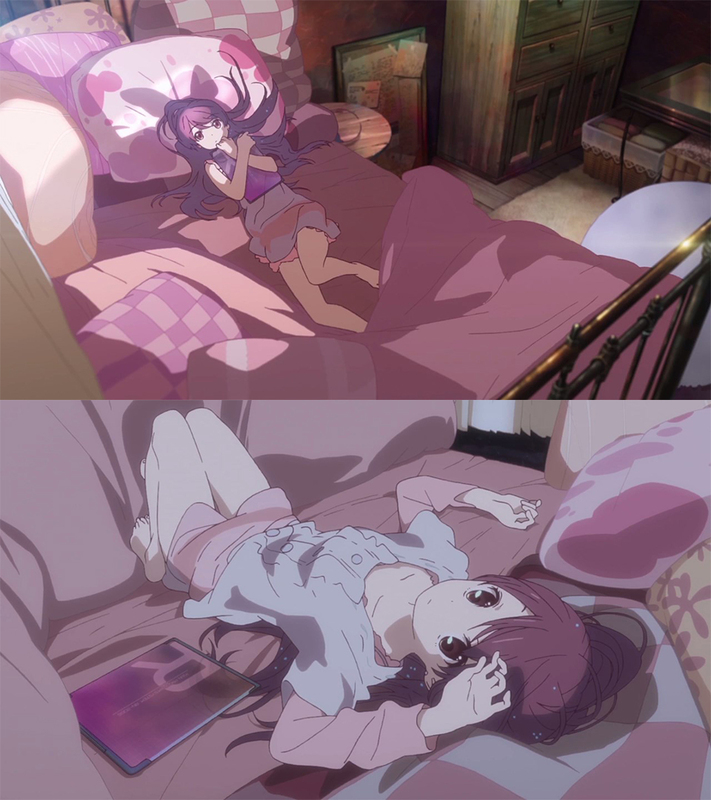 Before talking about Kouno, it’s important to note that character designs and animation direction – two roles that typically accompany one another – weren’t the only tasks she undertook for Shelter, as she also key animated the entirety of the MV on her own. She’s a person whose work is frighteningly thorough in almost every regard, to the point where other animators have complained that her designs are so elaborate they genuinely struggled to work with them, so the fact that she was given the opportunity to take on all three roles by herself was an instant guarantee of the incredible quality we’d be in for. The fantastical world we’re presented with truly comes to life by her hand, adding an extra layer of quality to environments which were already gorgeous by their own right; I find myself particularly drawn to the trees drawn as if they were effects – something she seems to have a penchant for. 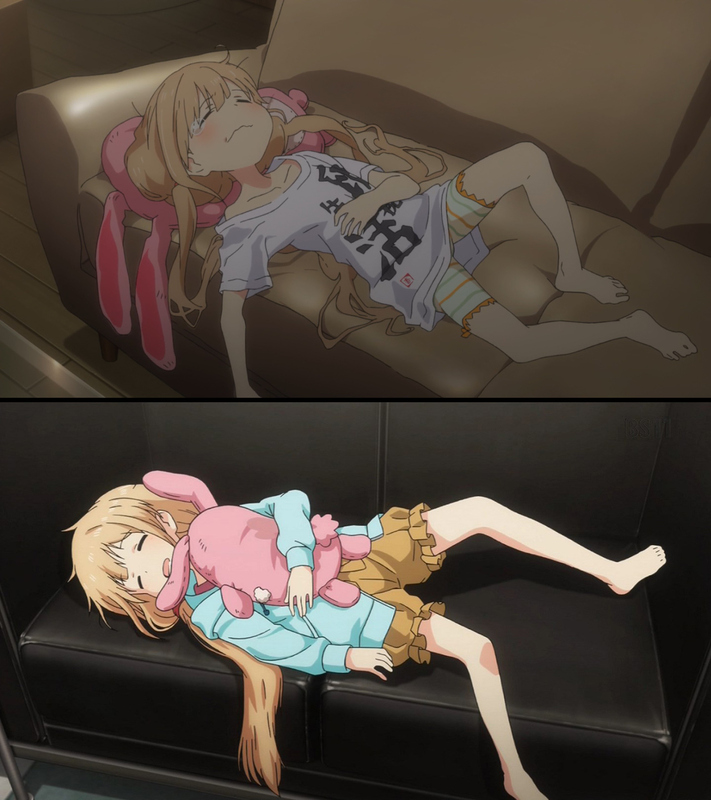 The quality of the drawings doesn’t drop when the focus shifts to her room, either. In fact, you could argue that it increases thanks to the ridiculous detail she imparts upon each and every aspect of it; she’s never been shy in showing other people up when it comes to giving fabric its proper qualities, but here she takes it to a whole new level. Every single element has its own property and energy under her control, adhering to even the slightest of movements, because being as thorough as possible is simply part of the job to her. It’s not just the world itself which she brings to life either, though. 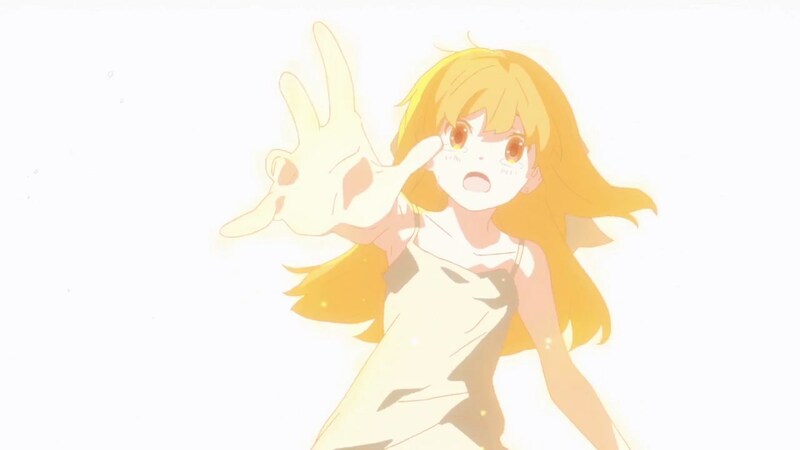 Her character animation is as lively as ever, from the exhilarating frolicking through a field, to the appropriately child-like movements featured within the flashback scenes. 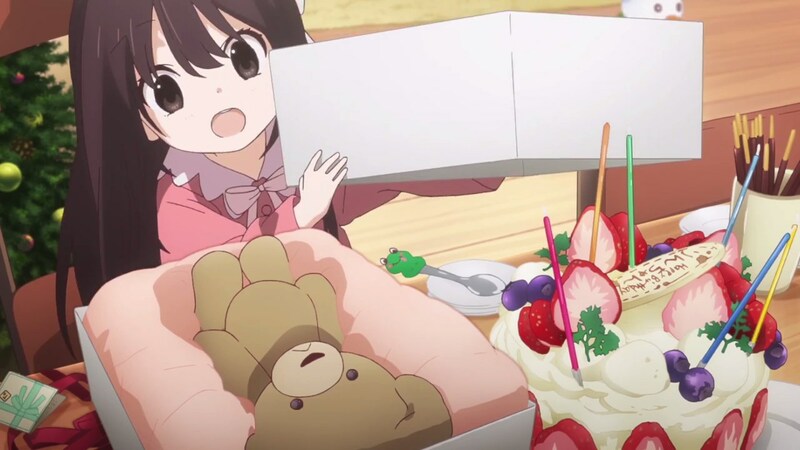 The latter is especially notable due to her work on Gainax’s Hanamaru Kindergarden, which no doubt served as a solid foundation to build on – in fact, some parts even feel like they’re straight out of it! 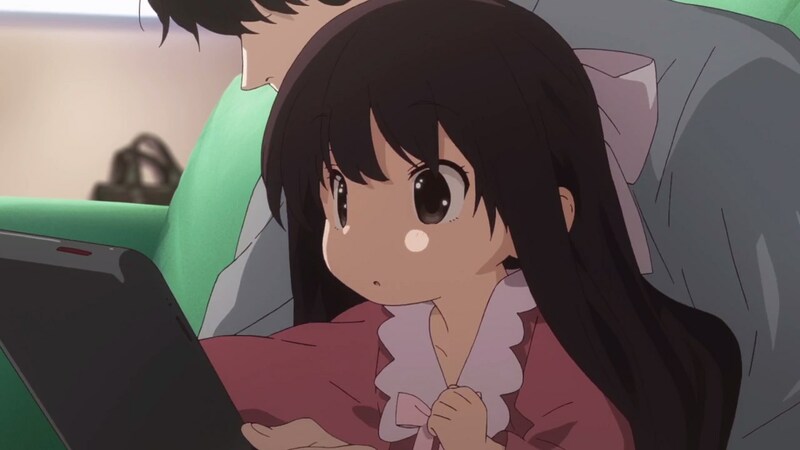 Nowadays it’s common to categorize animators according to the areas in which they excel at, but a viewpoint like that can’t be applied to Kouno, because she pushed the boundaries and simply mastered the craft of animation as a whole. All things said and done though, the fact remains that Shelter’s concept is a simple one. And that’s not a bad thing, either! Approaches that value excellence through simplicity typically provide a more effective experience than those that are overambitious, and the team here most definitely achieved that ideal. I’m confident when I say that, too, because a staggering number of people have connected with this MV on an emotional level, through what is almost purely a visual experience without much pretense. Porter himself hasn’t been shy in discussing how perfectly the end result matched up with his vision. That speaks volumes not only for both Akai and Kouno’s creative prowess, but for the benefits of both parties being able to work so closely with each other. You certainly won’t see me complaining if another project like this crops up later down the line! Dis is single-handedly making me not drop my patreon amount for you guys. Fantastic write up. 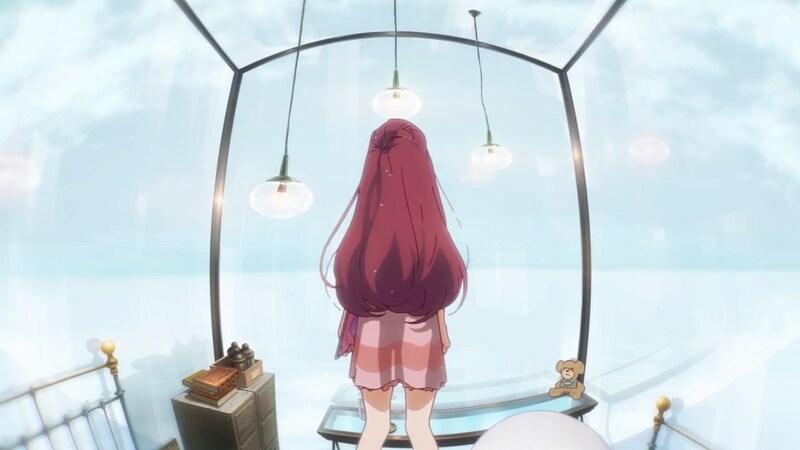 Shelter was an amazing endeavor and I’m so happy it worked out for literally everyone involved. I never would have expected the reception to be this positive and for it to gain views from so many more casual fans.